The Salamander Designs Denver 323 A/V cabinet brings a contemporary natural look to your family room or den. 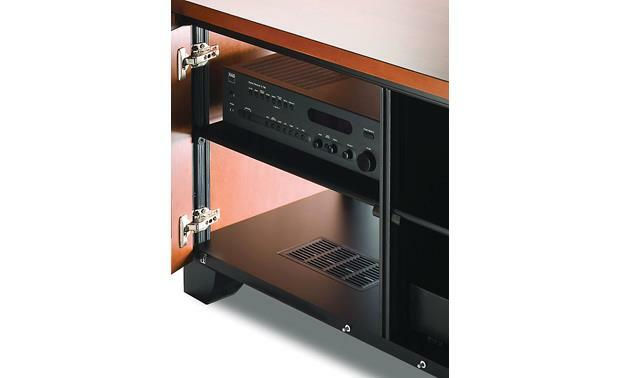 The Salamander Designs Denver 323 A/V cabinet brings a contemporary natural look to your family room or den. 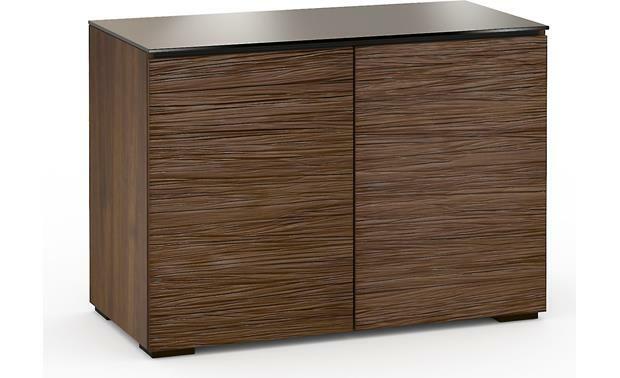 It features a rich wood finish, textured doors, and a chocolate brown glass top. Hand-built in the USA, this cabinet has a rock-solid extruded aluminum frame that you can customize with Salamander Designs shelves, legs, and casters. 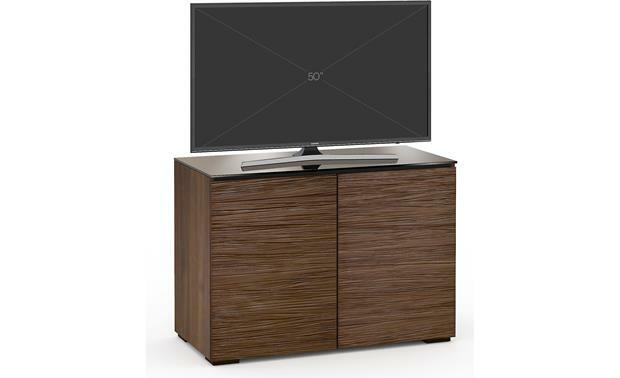 The Denver 323 comes in natural oak (pictured) or medium walnut (TV not included). 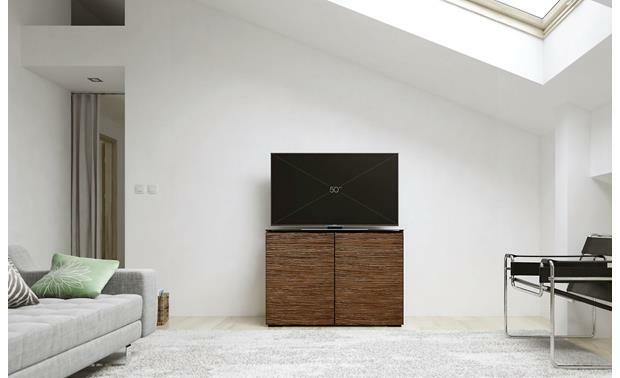 The 323's cabinet top can support a TV up to 50" and weighing up to 350 lbs. 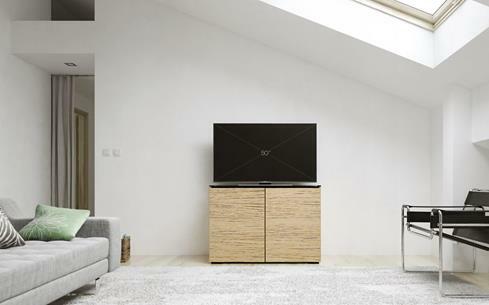 The two component compartments each have two adjustable shelves that can be set to any height. The doors feature soft-close dampeners. 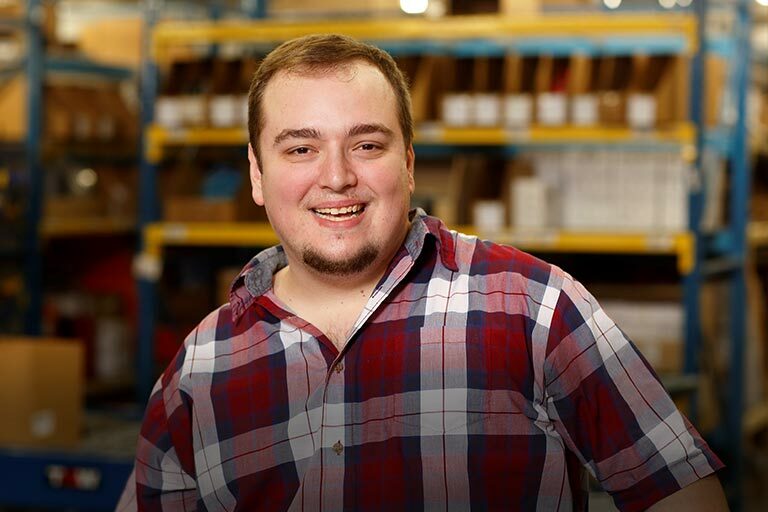 The back panels have openings for running your cables and keeping them out of sight. 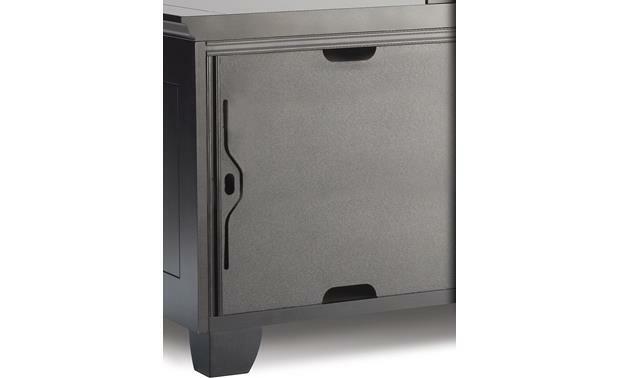 Ventilation louvers let air flow through the cabinet, keeping your components cool even with the doors closed. The low-profile feet have hidden levelers, and the entire cabinet can be wall-mounted.